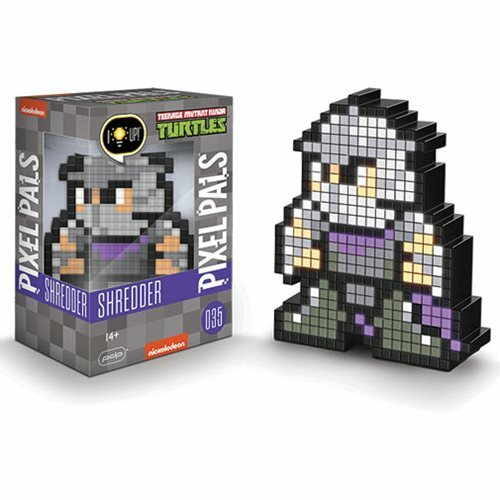 Light up your world with the Pixel Pals Teenage Mutant Ninja Turtles Shredder Collectible Lighted Figure! 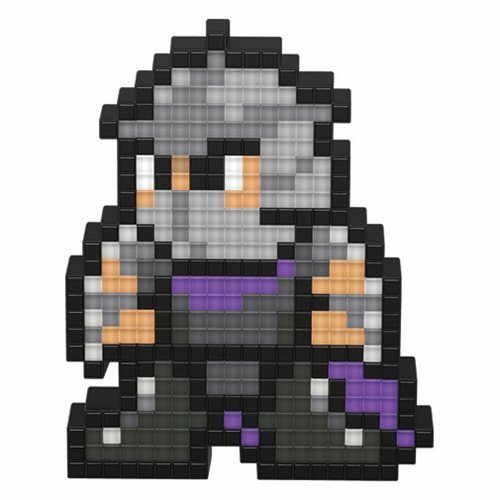 Arch-nemesis of Splinter and the Teenage Mutant Ninja Turtles, Shredder is a master of Ninjutsu covered in terrifying razor blades. 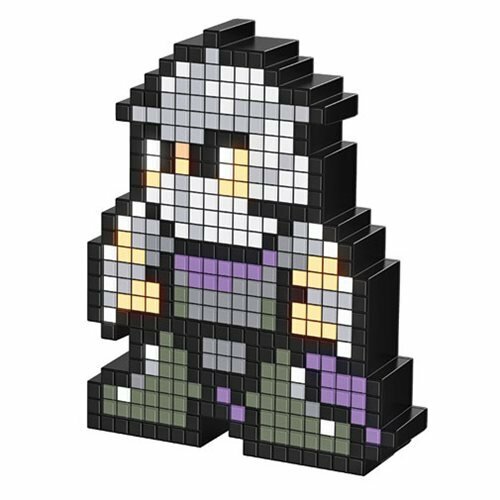 Focused entirely on revenge, Shredder shows no mercy to his enemies and always keeps his mutant henchmen close by. Over the years, he has become one of the Turtles' toughest opponents. Requires 2x "AAA" batteries, not included.